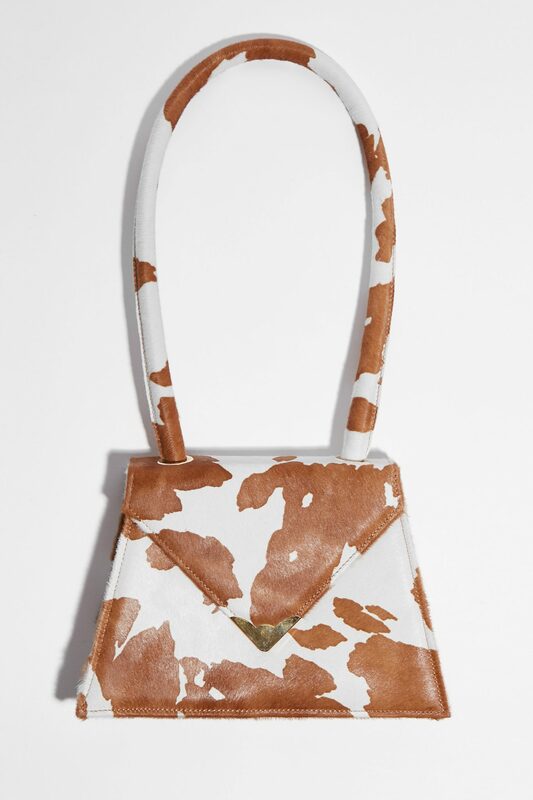 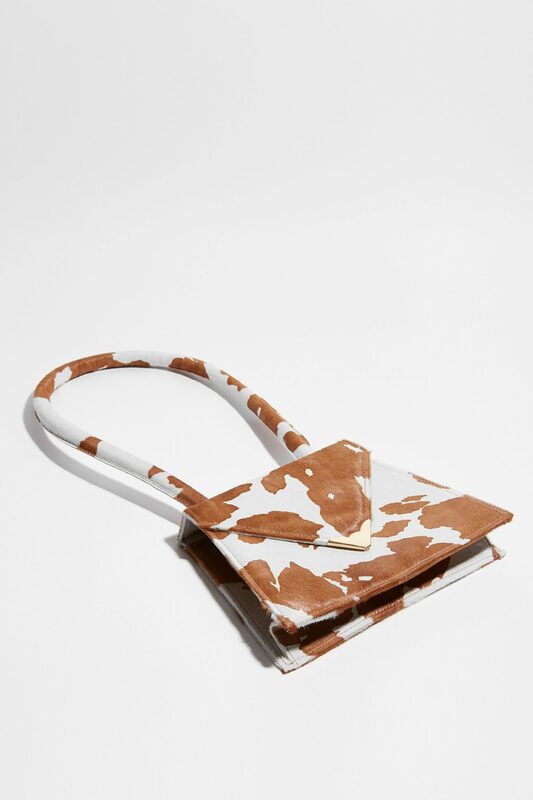 Cow skin printed pony effect leather handbag. 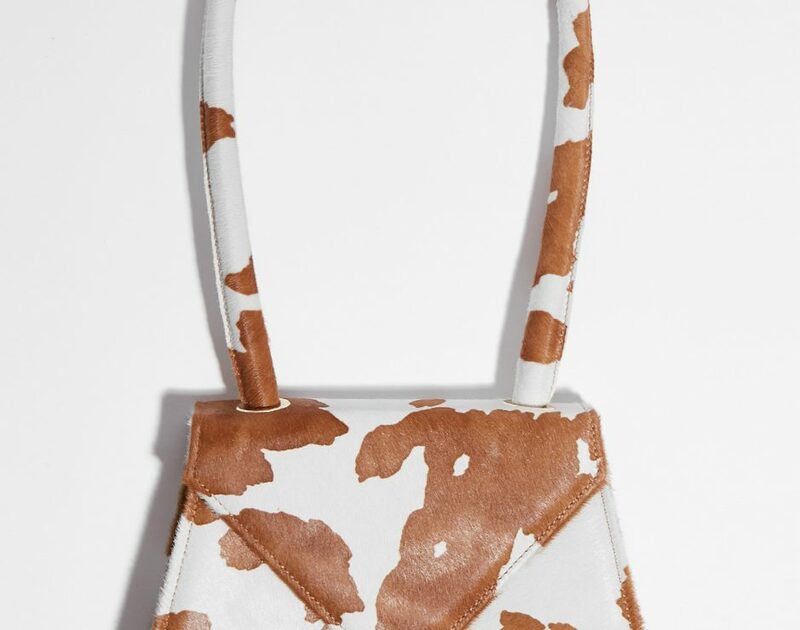 Cow skin printed pony effect leather handbag. 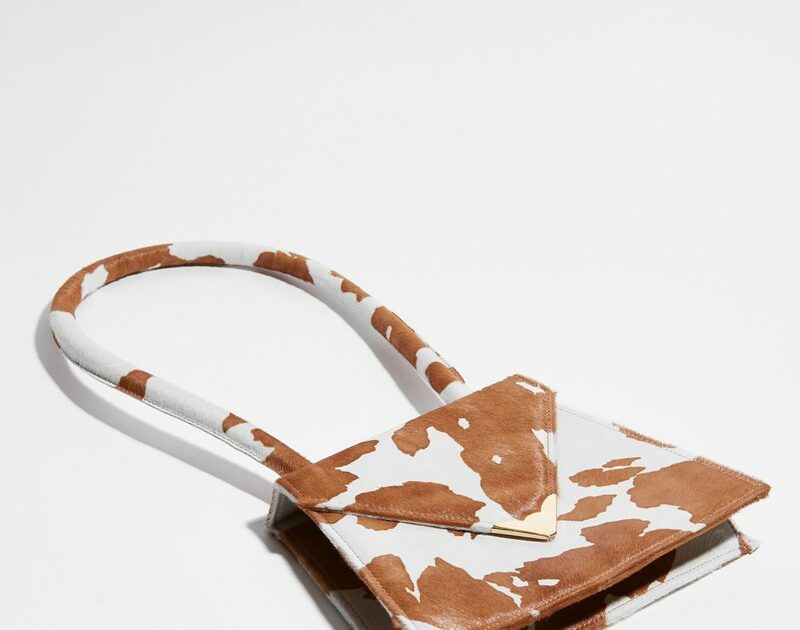 Quilted handbag, trapezoidal shape. 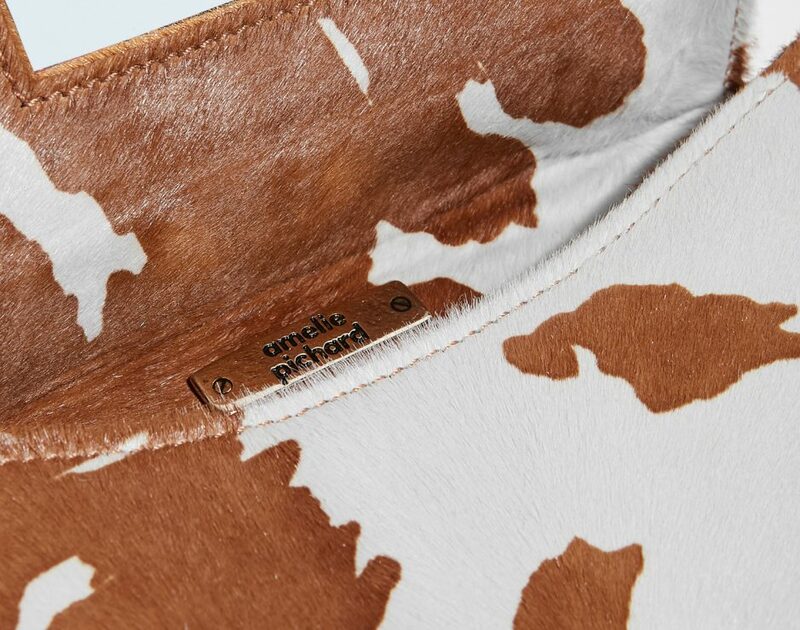 Leather-wrapped tubular handles ornamented with galvanized gold hammered eyelets. 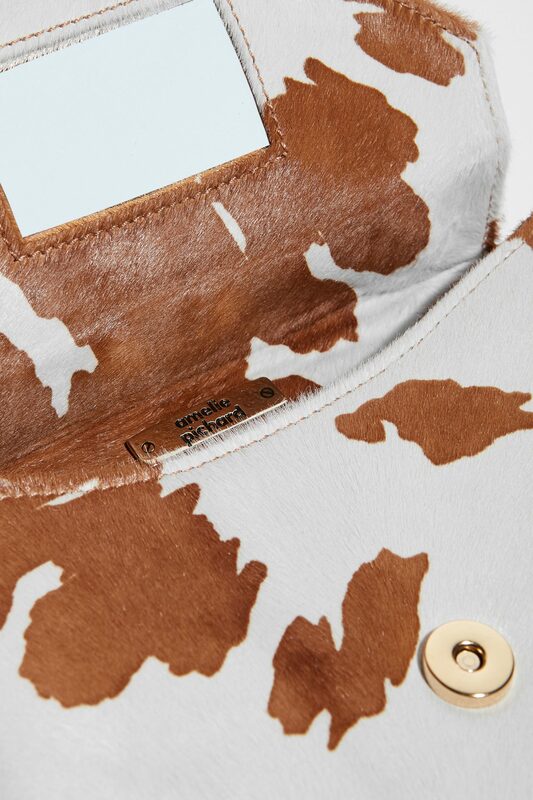 Embedded mirror inside.